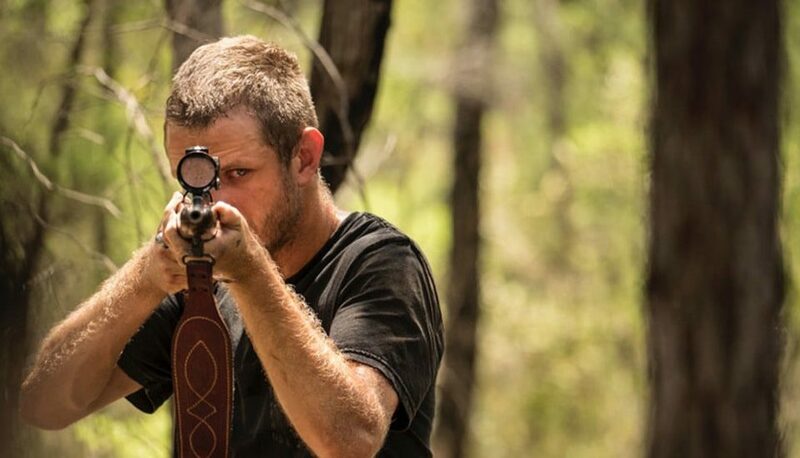 While the world will be forced to wait another month to check out Killing Ground, you can take our word: you really, really want to see this flick. It’s a stellar production with sublime highs and heartbreaking lows. You’ll figure that out for yourself when the movie is made available on July 21st. In the meantime, you should start getting yourself primed by checking out a brand new clip from the flick! The picture is written and directed by Damien Power. Harriet Dyer, Tiarnie Coupland, and Aaron Pedersen star. Since you’ve seen that slick clip, you may as well scope out the official trailer, as well! KILLING GROUND tells the story of a couple’s romantic camping trip that becomes a desperate fight for survival in this ultra-raw, unhinged kill ride. In need of a break from the pressures of their life in the city, Sam (Harriet Dyer) and Ian (Ian Meadows) head to a remote beach for a weekend getaway. When they come across an abandoned campsite, with no trace of its occupants, they’re concerned. When they discover a lone, traumatized child nearby, they’re scared. And when they encounter two local weirdos, they’re in for a hell of a bad time. Unfolding in an innovative, time-scrambling structure, Killing Ground delivers both nerve-shredding suspense and gut-punching realism.